Shop online for over 200 brawa model trains at discounts up to 16%. 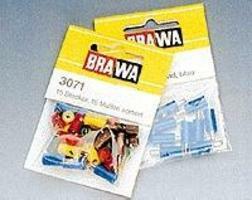 Roadway is the most popular of the 12 brawa model trains categories, then Lighting / Electrical, and Locomotives. 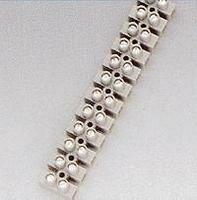 This is the Screw Terminal Strip - 12-Way, 4'' Long from Brawa. This is the 30-Piece Plug & Socket Set - 15 Plugs, 15 Sockets in 5 Colors from Brawa. This is the Plug & socket strip 12 positions from Brawa. This is the HO Scale British Telephone Box from Brawa. This is the HO Scale Illuminated Historic Wall Clock Baden-Baden from Brawa. This is the HO Scale Old-Time Street Lamp (2-1/2'' High) from Brawa. This is the HO Scale Distance/Mile Posts (10) from Brawa. This is the N Scale Stuttgart Gas Lamp - 51mm Height from Brawa.